In Lundigo City in the Kingdom of Lund, there are many prestigious occupations, filled by men and women of great lineage and wealth. Dundicutt is not one of them. He delivers the mail. 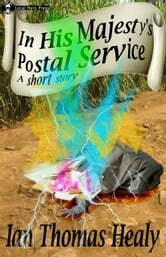 But when he's late to work one day, he winds up on the strangest postal route of them all: Wizardry Row.